Used for thousands of years throughout Asia, including by the royal concubines of the Chinese emperors, yoni eggs are egg-shaped stones used internally to help tone the pelvic floor and vaginal muscles as well as increase sensitivity, enhance intimate awareness, release emotional traumas, and open access to the sacred feminine within. In this full-color step-by-step guide, Lilou Macé details the techniques and rituals of yoni egg practice, aiming to dispel fears and reservations about its use and reveal its profound benefits for body, mind, and spirit. She explains how the yoni is not merely a body part, but the portal to greater wisdom and self-knowledge--your temple of the sacred feminine. Providing an anatomical guide to the yoni, she shows how it contains reflexology points and energy meridians that can be worked with through different placements of the yoni egg. She offers detailed instructions for yoni egg exercises, including how to use a yoni egg for the first time, and explores how these techniques can help you have more intense orgasms, prevent urinary incontinence and other women’s health issues, prepare for and recover from childbirth, release trauma and negative emotions trapped within your body, boost your confidence and femininity, and unlock access to your inner source of creativity and wisdom. The author explores the properties and healing benefits of 12 different gemstone eggs, from the well-known jade egg to lesser-known eggs such as amethyst, obsidian, and green aventurine, along with guidelines for choosing the stone type and egg size that will work best for you. Concluding with rituals for initiating yourself into the power of your yoni and for releasing the sacred feminine within, the author shows how each of us has the power to heal, to be kind to ourselves, and to reveal our own inner beauty and wisdom. The yoni egg practice offers many advantages. Its purpose is to allow you to better know your body and what you find pleasurable, as well as how to take care of yourself, gain confidence, release tension, build a joyful state of personal health, and restore vitality and tone to your perineum. Let’s start by looking at what the egg provides on a daily basis to the majority of us. Taking care of ourselves, especially when nothing is going right around us and in our lives, appears to be self-evident. However, this is not always our first reflex. The self-care of yoni egg practice will require initial efforts, but regular practice and your desire to do right by yourself will triumph. New healthy and harmonious habits will become established in your daily life as a woman. Throughout this practice you will give yourself much of the gentleness and love that you most often expect to come from outside. We are not talking about a quest for absolute happiness here, but a profound desire to treat ourselves well, to grant ourselves attention and time. Taking some time for yourself in your active life as a woman will provide many positive results. 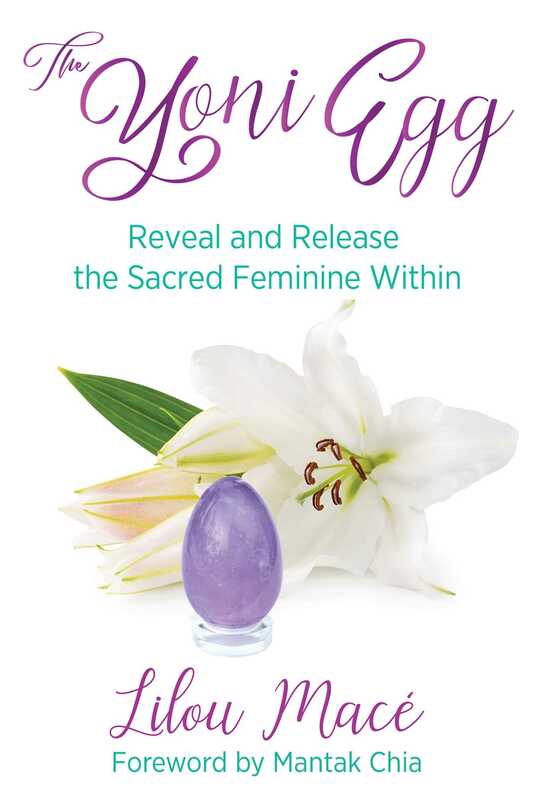 To have an egg inside of you allows, first and foremost, to establish contact with your yoni, to familiarize yourself with your most intimate domain and from this feel “more feminine,” to cause your inner beauty to radiate. Being beautiful goes beyond our appearance. True beauties are confirmed on the inside and radiate on the outside. This is true charisma, the inner power of the woman over herself that magnetizes and seduces so mysteriously. The yoni egg placed inside of you, inside your daily life (during a rendezvous, a meeting, at work, or at lunch) will be carried like a secret, intimate, and invisible object whose presence you have forgotten. Confidence will make women more feminine, open, and seductive. We are offering ourselves the love and attention we expect from the outside. This reveals our reconnection with our inner beauty and femininity all the better. Vital energy, Chi, is the universal life force. This chi can be blocked and stagnant at the level of the yoni. Wearing your egg will allow you to gently awaken this energy, put it into motion, and make it circulate throughout your entire body. The search for creative energy must be made in a state of completely letting go. It is important to begin by breathing deeply in order to oxygenate your entire body. When waves of sexual energy begin rising up in the body, the muscles contract gently and spontaneously. The body will express itself more freely, more harmoniously, and more tenderly… The very good news is that the egg will be there to accompany you and thereby gradually release joy and vitality. Respecting your body, honoring the goddess inside and her yoni like a sacred temple, listening to her messages, rediscovering the symbolism through rituals and a more accurate and personal attentiveness, will, with time and regular practice, help activate and transform your sexual and spiritual energy. Gemstones and crystals played an important role in ancient civilizations. Today, they are regaining a place in our everyday lives and helping us gradually recover physical, emotional, mental, or spiritual balance. The subtle influence of minerals is used in the context of a holistic healing approach, as it touches on all levels of the individual. Stones exercise an influence on our bodies by the vibrations they emit. These stones interact with the electromagnetic field of our body. When you start on your adventure in the world of stones, it is not always simple to get your bearings there. The best advice I can give you about your choice of stone is to keep listening to your body, your sensibility, and your intuition. Thanks to the information that follows, you will have an overview of the stones used to manufacture yoni eggs and thereby be able to make a first selection of the ones that “speak” to you most strongly. Benefits: It helps establish inner calm, relieve doubts, and steers the individual towards serenity and self-esteem. This stone reinforces self-confidence and kindness; it heals the wounds that have collected in the heart. The quartz rose egg is wonderful in encouraging the heart to open, as well as kindness, rest, and tenderness as the rose quartz is the stone of love. It helps establish inner calm and serenity, it strengthens love of self and self-esteem, and it helps a woman feel more feminine. It gives hope and relief. Lilou Macé is a French-American author, speaker, and webTV interviewer. Inspired by Oprah Winfrey, she has interviewed thousands of experts and scientists since 2006 from all over the world about the art of creating a conscious, healthy, and fulfilling life, posting her interviews on her website LilouMace.com and YouTube channel, where she now has over 70 million video views. She lives in Bordeaux, France.